The all-new Fortuner has been a highly anticipated product, and pre- and post-launch, there has been massive chatter surrounding the vehicle. 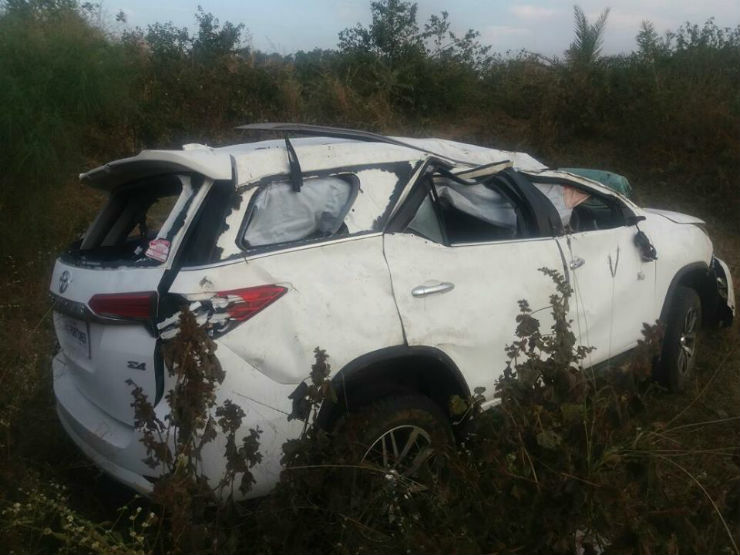 The big SUV is now just two weeks old in India, and here we have our first crashed Fortuner already. 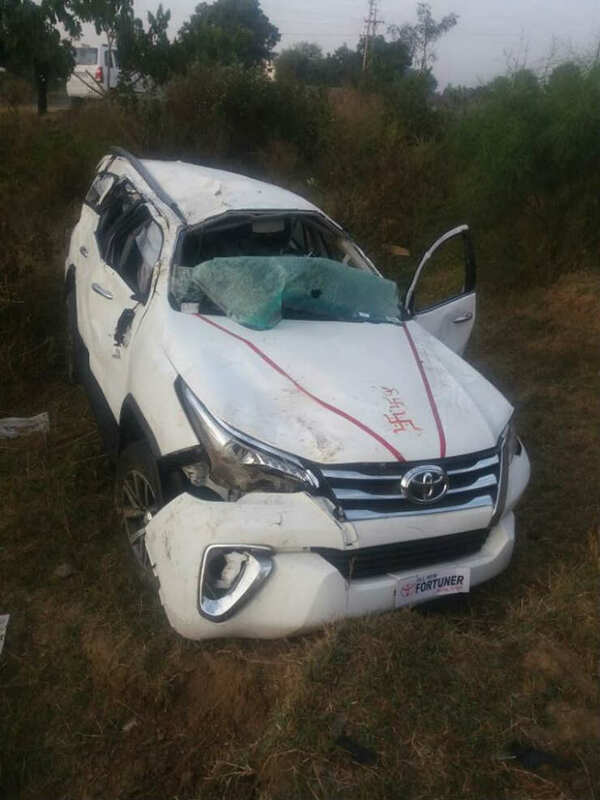 A member of the Lifestyle Club FMC, John Thomas uploaded pictures of a fully mangled new Fortuner from Dewas, Madhya Pradesh. Details on the crash are not known. What we can see that the vehicle looks totalled. From the picture, we can tell that this is probably a case of rollover as the front-end of the car looks mostly intact. It is the pillars, roof and the sides that have sustained most of the damage. Details on the condition of the occupants are also not known. All the airbags have deployed, so that gives us some hope – but the A and B pillars have caved in due to impact. What can also be seen from the images is that the vehicle has left the road rolled into into the bushes adjacent to the road. If you look closely, in the back, you can see a Wagon R parked where the road actually is. We hope that the occupants weren’t severely injured in this incident. Like with most accidents, it would be wrong to point fingers at either the vehicle or its occupants in this case too. Thousands of things can go wrong while driving in India – we would advise everyone against jumping to conclusions. Toyota launched the Fortuner on 7 November 2016, in both diesel and petrol guises. The diesel is the 2.8 liter unit making 174.5 Bhp and 420 Nm in manual and 450 Nm in automatic. The diesel comes in both 4×2 and 4×4 forms in only a single variant. There is also a petrol on offer which is the same 2.7 liter engine from the Innova which makes 164 Bhp and 245 Nm. This one too has an option of automatic and manual but no 4wd mode. On the safety front, the Fortuner comes with VSC, 7 airbags and an impact absorbing crash structure. Pricing for the Fortuner ranges from Rs 25.92 lakhs for the petrol manual to Rs 31.12 lakhs for the diesel auto 4×4. Since its launch, the Fortuner has been steadily eating into sales of the Ford Endeavour, according to market reports. However, sales figures would be known only by the first week of December.